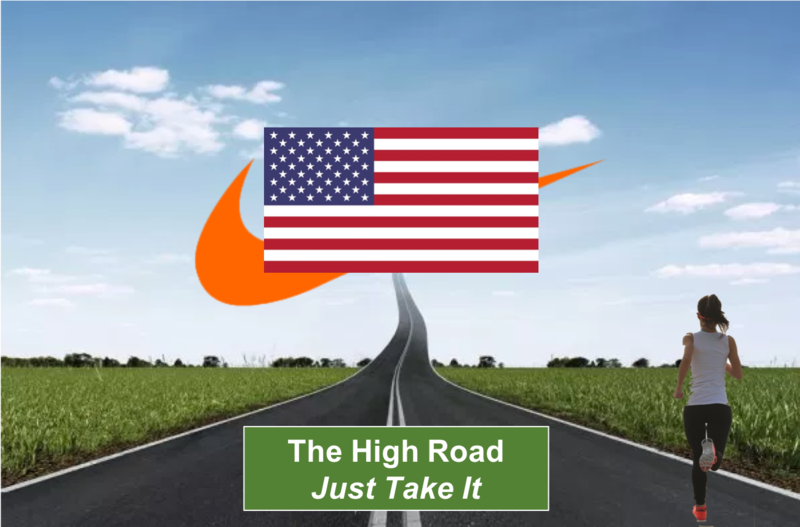 The High Road — Just Take It! Is a flag merely an expression of patriotism? Does it evoke other emotions? Is a flag a type of logo? Will a logo embrace a flag? Will a logo be a flag?